The heart of Hospice Muskoka is our dedicated team of volunteers. Not only are the volunteers an integrated component of the organization’s human resources, but also are essential members of the interdisciplinary team that service the client and their family throughout South and West Muskoka. Over fifty volunteers provide between 4,000 - 5,000 hours of direct service. Over twenty five volunteers provide well over 1,000 hours of administration support or assistance with fundraising and events. Nine board members are entrusted with the governance and direction of Hospice Muskoka. 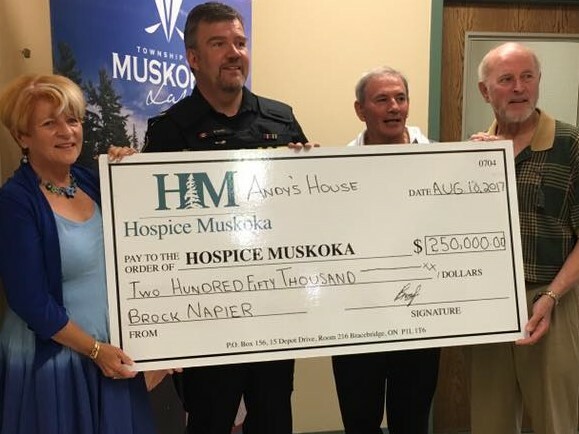 Everyone has their own motivation for getting involved with Hospice Muskoka. For most the experience of volunteering is very rewarding. The volunteers usually have an interest in the Hospice philosophy of care and have the desire to help others. Many have some awareness of what is drawing them to hospice work and are willing to explore this in depth.